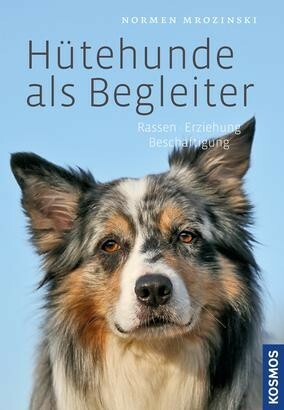 Product information "Hütehunde als Begleiter"
Herding dogs are the epitome of athletic companions. They enchant with their beauty and their intelligence. Breeds such as Australian shepherds and border collies, but also increasingly old German herding dogs, kelpies and cattle dogs are becoming more and more popular. But they are not appropriate for everyone. With the increase in the number of herding dogs in families, the number of problems that arise when the very passionate work dogs are not trained and kept appropriate to their species also increases. Herding dog expert Normen Mrozinski describes what the demanding dogs need and how you encourage and train them appropriate to their species, so that problems do not arise in the first place.